Independence Celebrations is a vibrant, colourful time in Dominica. It’s time to wear madras, eat traditional creole food, and listen to the sounds of jing ping music! 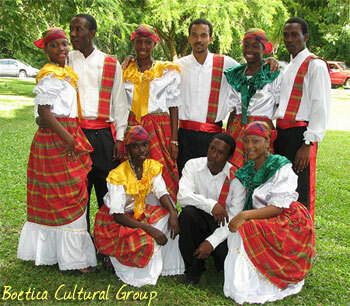 Creole in the Park – Monday through Thursday at the Roseau Botanic Gardens (official website). World Creole Music Festival – Friday, Saturday & Sunday at the Stadium (official website). Creole Bord la Mer – Sunday, Oct. 31st, Roseau Bayfront from 6 am. For a full schedule of Independence activities, visit avirtualDominica.com.